Granulated Blast Furnace Slag can be used in its raw/unprocessed form as a slow setting binder in hydraulically bound road construction materials. It generally requires an alkali activator such as hydrated lime or steel slag to be added to the product for this purpose. Granulated blastfurnace slag is highly cementitious and after drying and grinding to a fine powder, it can be used as a replacement for conventional cement. 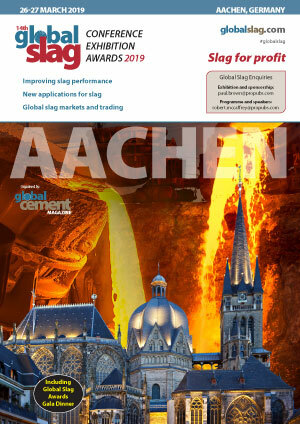 The first commercially available Blastfurnace cement (a blend of Portland cement and GGBS) was produced in Germany in 1865 and currently over 200 million tonnes/annum of Blastfurnace slag cement are used worldwide. In the UK, GGBS is normally supplied as a separate material, conforming to EN 15167-1 ‘Ground granulated blastfurnace slag for use in concrete, mortar and grout’. GGBS is blended with cement at the concrete mixer and its major use is in ready-mixed concrete. 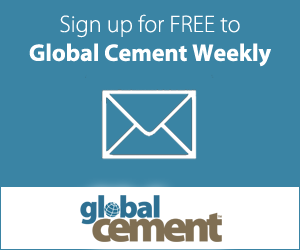 Typically the replacement level is about 50% but in some applications, GGBS can replace over 80% of the Portland cement. Specifiers of concrete are well aware of the many benefits of GGBS (e.g. it increases the durability of concrete and greatly reduces its carbon footprint) and about a third of all UK ‘ready-mix’ deliveries contain GGBS. It is also used in site-batched and precast concrete and for the in-situ stabilisation of soils. Once processed (crushed and screened) the abs is used as aggregate in many construction materials for civil engineering in both bound and unbound applications. The principal use is in asphalt and surface dressing in accordance with EN 13043 and in unbound road construction materials in accordance with EN 13242. Both BOS and EAF slag are very similar in their basic properties and are generally used in the same applications, with the exception of but a few. The main difference; highlighted in the section by Lewis Juckes, is the lime/ silica ratio. As BOS slag has a higher lime silica ratio than EAF slag, it usually contains a higher proportion of un-combined (free) lime. This increases the potential for expansion, through hydration and therefore requires a longer weathering (conditioning) period than EAF slag, to ensure compliance with European standards. It also means that on cooling, the BOS slag tends to produce larger volumes of finer material that satisfy requirements of markets that cannot be met by EAF slag. Both air-cooled BOS and EAF slag provides a high quality aggregate for most construction applications where natural aggregate would be used. Steel slag can be used in both bound and unbound road construction products, which generally comprise asphalt and surface dressing in accordance with EN 13043 and sub-base, capping and fill materials in accordance with EN 13242. As steel slag is hard and dense, it provides an excellent material in hydraulic engineering as armour stone for the protection against both river and sea coastal erosion. As with ABS, steel slag has the necessary elements required for the manufacture of cement clinker and mineral wool. It can therefore be used as a supplementary feed for both these processes. Steel slag is hard dense and resistant to both attrition and abrasion making it a suitable for use as railway ballast aggregate. In areas where the ground conditions are not suitably strong for standard foundations for buildings, stone column piling can be implemented to stabilise the ground. Steel slag is an ideal material for this application as it is strong, has a cubical shape, which helps the interlock and has excellent resistance to abrasion. Over one million tonnes of steel slag has been used extensively in Saudi Arabia in this application and is the preferred material due to both its physical and chemical stability. As a result of acid rain, many fields require pH adjustment to enable healthy and productive growth from the crops. BOS slag is used as a basic soil conditioner with the added benefit of the release of several trace elements essential to life. In addition to utilisation on agriculture, a relatively new application has been developed to help remediate brown field sites incapable of plant growth. The BOS slag fines release calcium oxide and other trace elements, slowly into the soil enabling the growth of grasses and trees in soft landscaping. The stainless steel process usually comprises a two stage process. Melting of scrap in an electric arc furnace and refining in an Argon Oxygen Decarburisation (AOD) vessel. The former slag is handled in the same way to the standard carbon steel EAF, producing a crystalline rock similar to the carbon steel slag. The AOD slag, however, naturally falls to a powder on cooling due to the mineralogy. In certain countries, this material is stabilised by adding borax at the liquid stage, producing a solid crystalline slag. Both these materials can be used in the same way as both the BOS and EAF slag. In some countries, if the material is not stabilised, it can be blended with stainless EAF slag and processed through a wet milling process to recover all the entrapped stainless steel. The metal free slag can then be used as soil conditioner, or if chemically suitable as a silicon rich fertiliser. Nick Jones, lead author, is the slag business development manager for Harsco Metals Group Ltd, based at Rotherham in South Yorkshire.